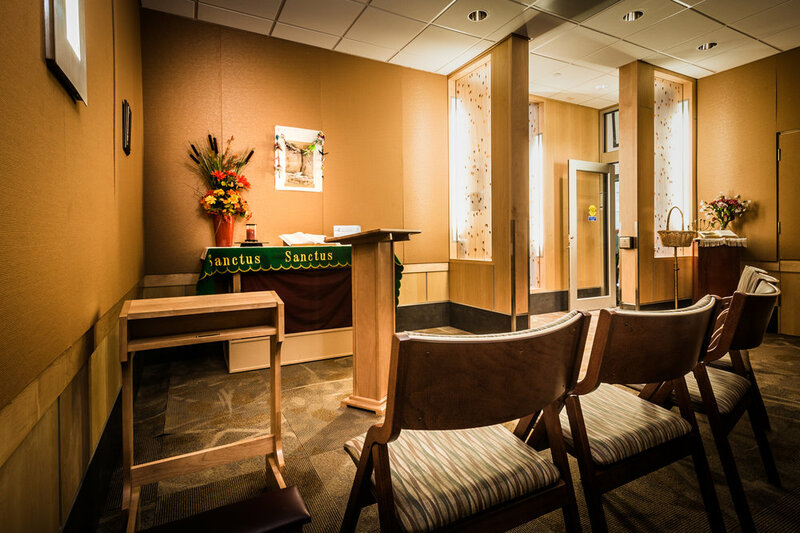 The original chapel at the Lemuel Shattuck Hospital, a public health teaching hospital in Boston, had a rotating stage or “lazy susan” podium that held symbols and icons required for Catholic, Jewish and Protestant worship. 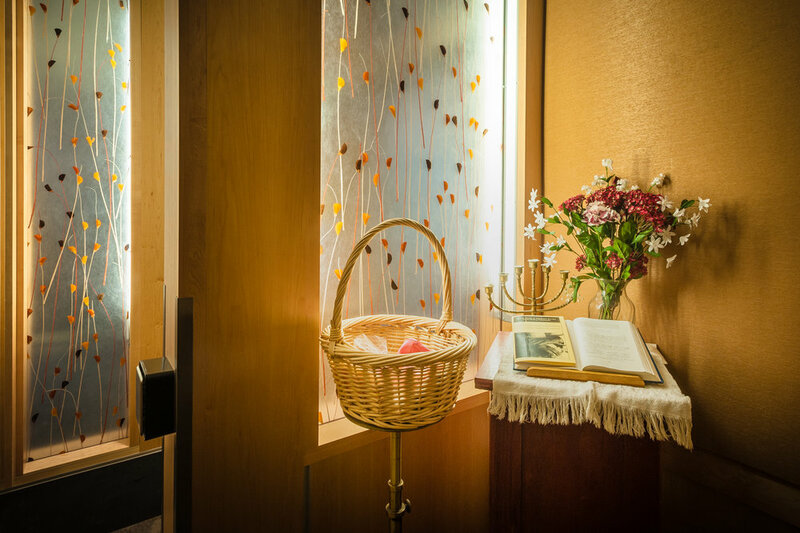 An interfaith service takes place on Sundays that is attended mostly by patients, and Bible study happens in the chapel on Mondays. Objects from a range of religious traditions fill the room and plaques honoring two beloved, now deceased, volunteers hang on the wall. Prayers and texts from a range of traditions are available and written prayer requests are readily received. 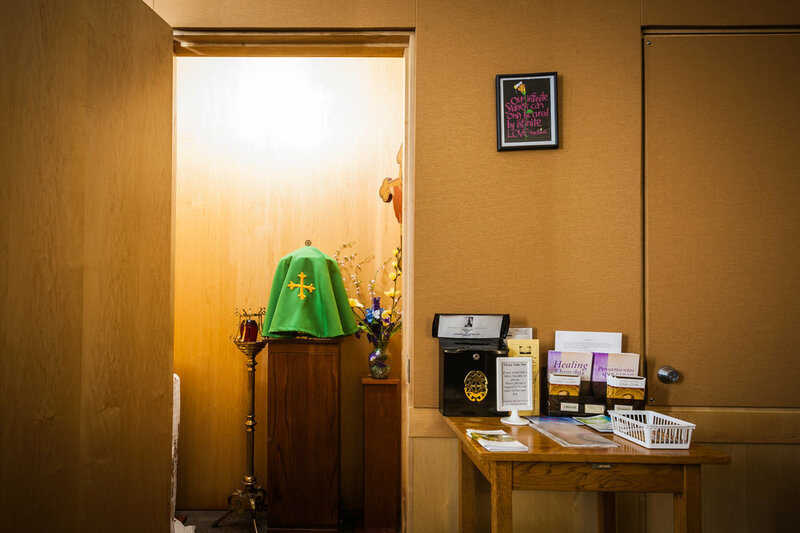 The altar was moved here after being in two other state hospitals, both of which closed. Rev. 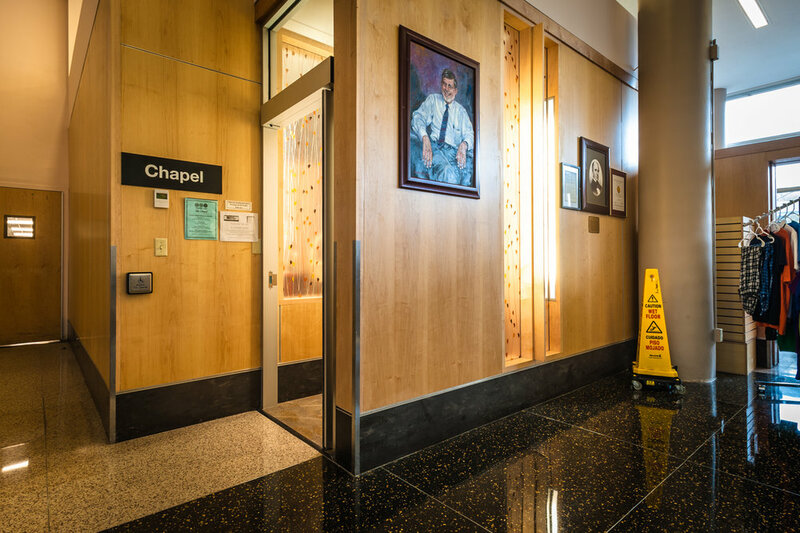 James Gannon leads the chaplaincy department and also works as a patient care advocate in the hospital. Assisted by volunteers and occasionally students, Rev. Gannon cares for patients who receive services in this 225 bed public hospital through the Massachusetts Department of Mental Health and the Massachusetts Department of Public Health. Some are in drug treatment programs, others are in the correctional unit and others have few resources and are transferred here from other facilities.